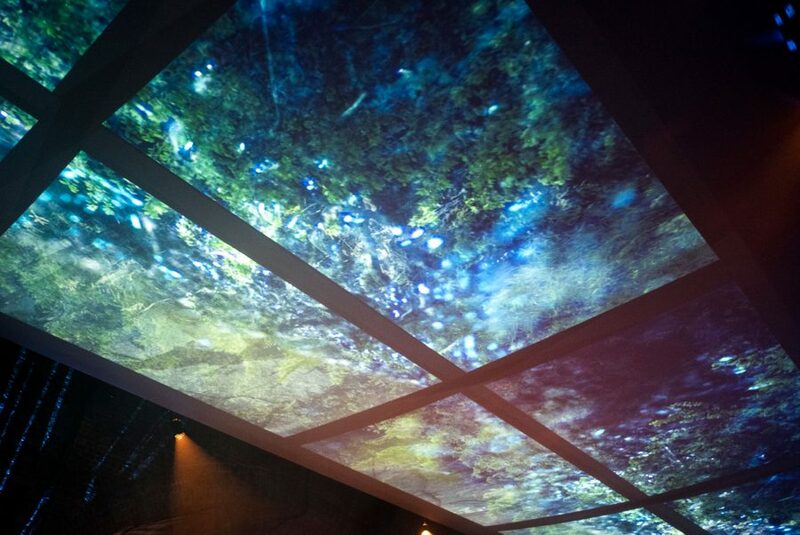 Napapijri’s DNA holds a powerful inspiration that looks at nature and passionate explorers, and has given birth to a tribe of individuals who see the world with a thoughtful mind and an artful touch. 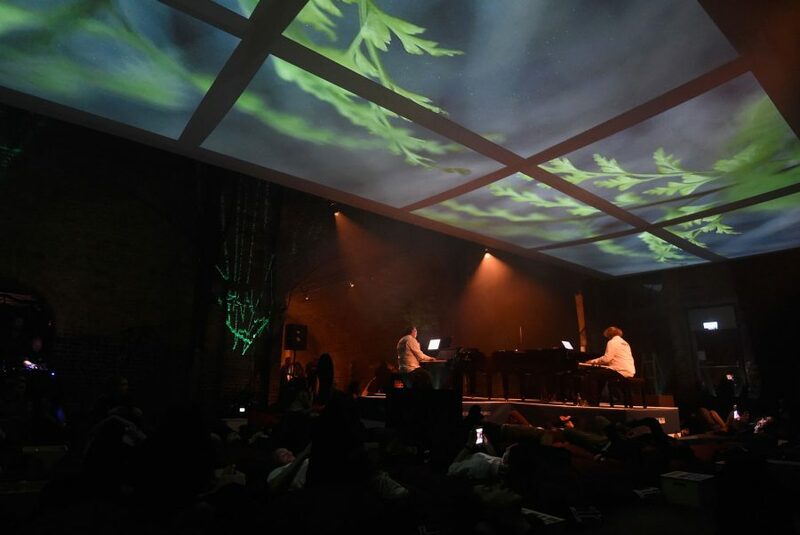 On the 13th of October 2016, Napapijri invited these nomadic seekers to Village Underground, where they were treated to a wondrous evening of sound and vision to celebrate the launch of the brand’s AW16 collection. 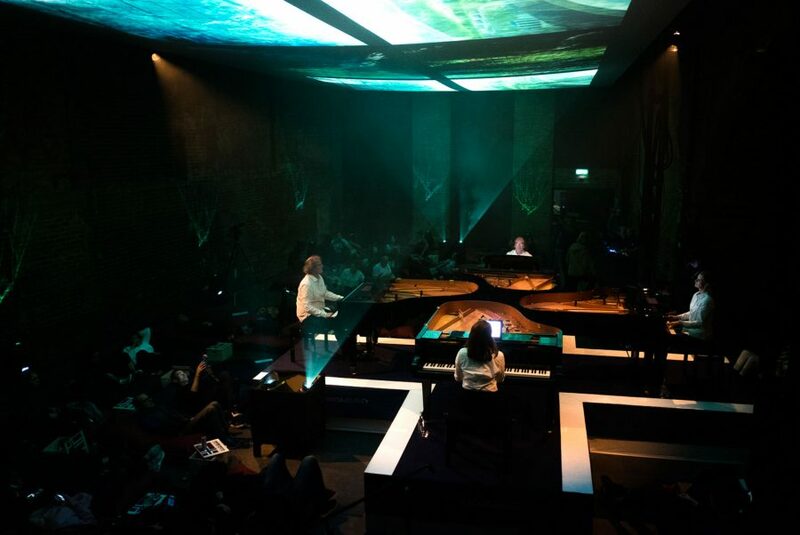 In a space designed by VJ artist Heleen Blanken, four concert pianists played Simeon ten Holt’s Canto Ostinato on four raised grand pianos. 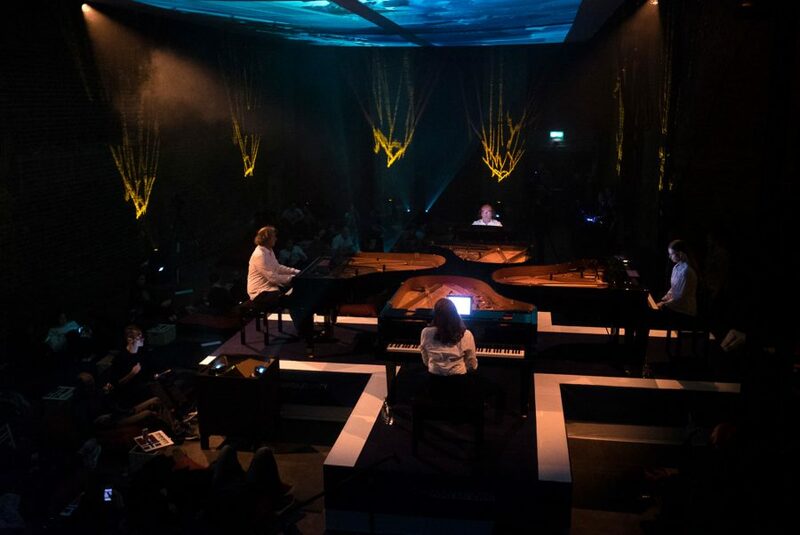 The pianists – Fred Oldenburg, Irene Russo, Sandra van Veen and Jeroen van Veen – are all internationally celebrated for their work, and to be surrounded by the four performing together was an elevating adventure. Napapijri Ambassador Julie Falconer, of the blog A Lady in London, introduced the evening. 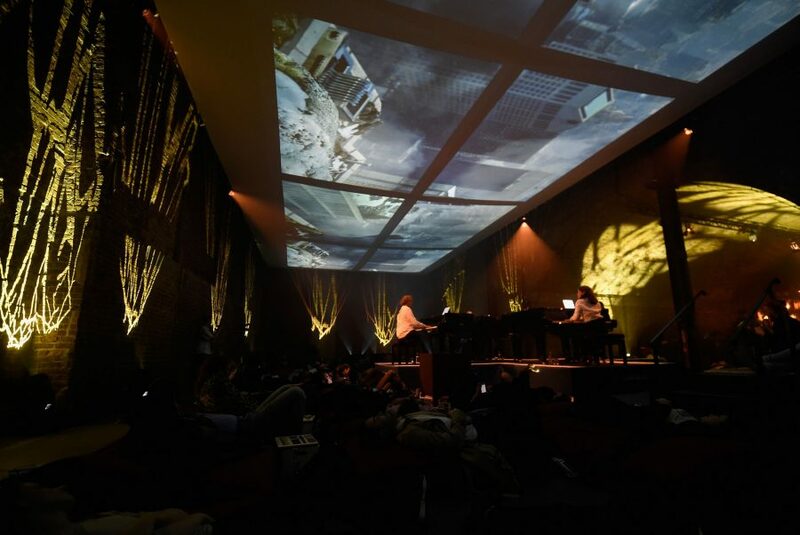 While the music played, the musicians and audience were enveloped by Heleen Blanken’s video artwork, enabling each art-venturer to interpret their own fantastic sonic journey through the various themes: the forest, the starry skies, the mountain and shelter. Like Napapijri itself, Heleen Blanken’s artwork is concerned with the discourse between industrial destruction and the beauty of nature; the urban and the wild. 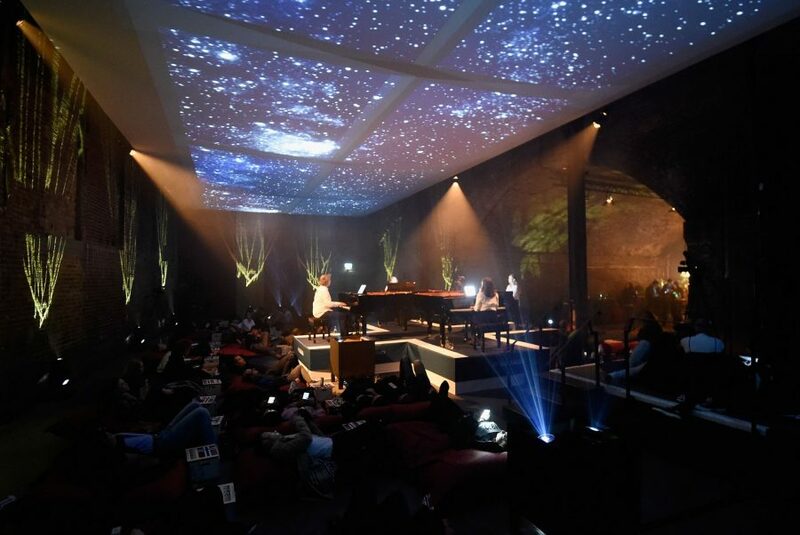 Guests were invited to lie down in the comfort of the Napapijri experience as the music rose and swelled around them, transporting them into the four simultaneous harmonious worlds. 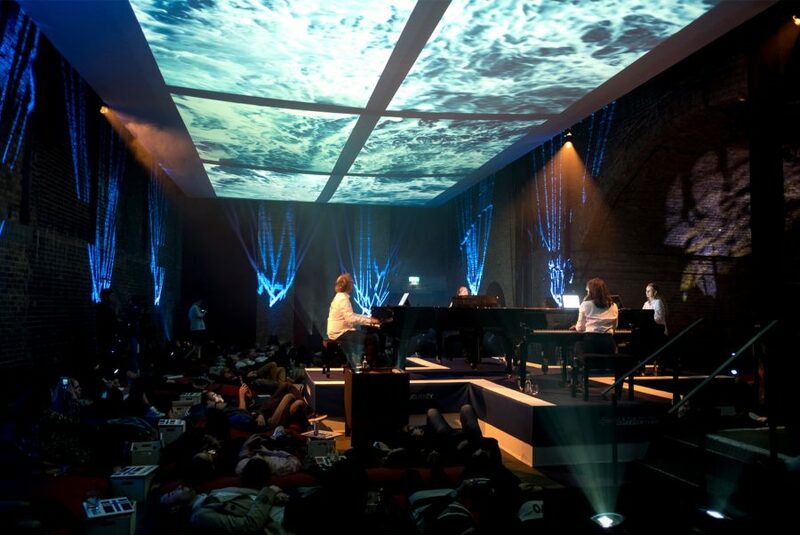 The event was also live streamed through Napapijri’s Facebook channel, allowing consumers in other countries to join in with the evening online. Also in attendance were Napapijri’s AW16 Campaign Influencers; photographer Ravi Vora from the USA, model and globetrotter Andre Hamann from Berlin, and travel photographer Oliver Vegas from Spain. 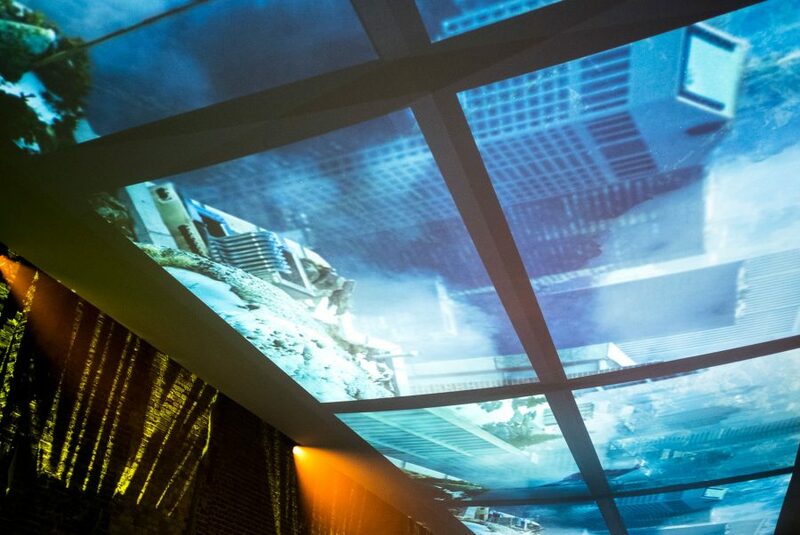 Attendees of the event found themselves on an extraordinary journey, seeing the familiar with new eyes and discovering unexpected new sights, sounds and colours; appreciating, elevating and venerating the world around us.